There is a terrible lack of snow in our mountains. 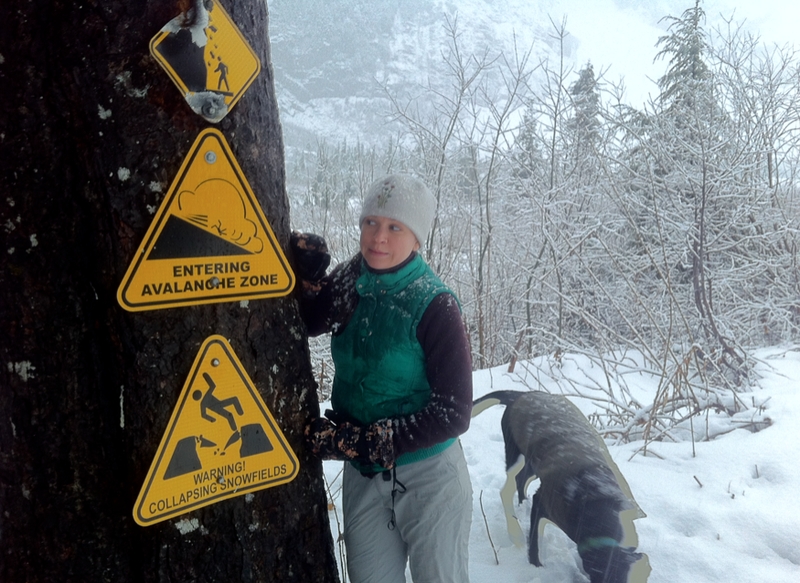 We drove to a spot where we thought we could go snowshoeing, but it was raining and muddy. We kept going up in elevation until we found some snow. 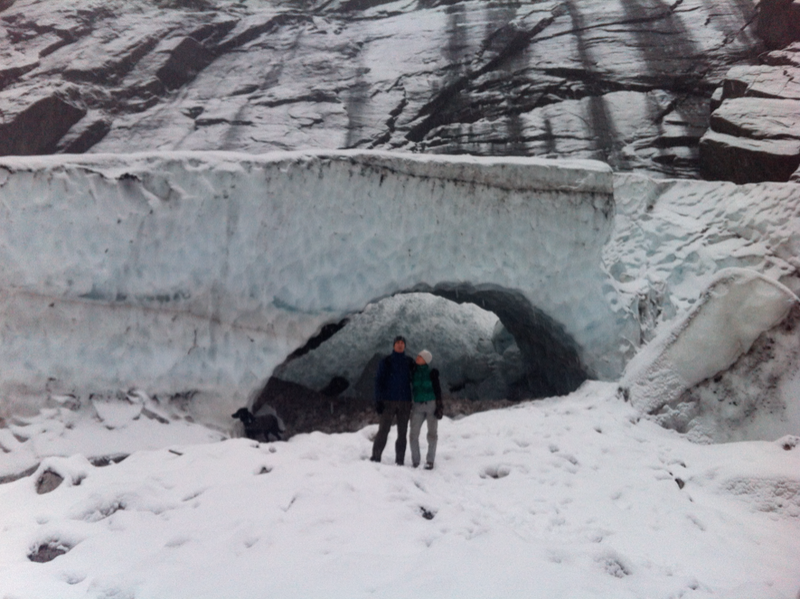 We parked at the Big Four Ice Caves trailhead and followed the dog tracks until we found the caves. It was an easy trail that was wheelchair accessible nearly the whole way. There was bus and RV parking for what must be mayhem in the summer. When we arrived, I couldn’t help but notice how clear the water was. It was like chocolate milk below here. 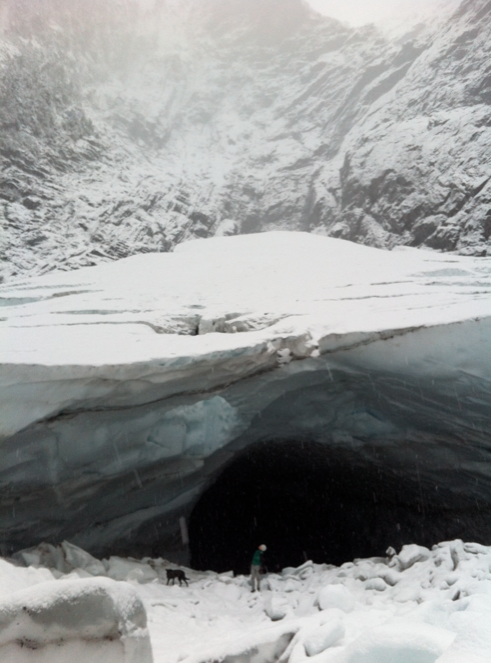 This entry was posted in avalanche, happiness, hiking, life, lucky and tagged Big Four Ice Caves, hiking, Seattle, washington by Rory. Bookmark the permalink.